When we meet, Antony McDonald has been working all day on his new production of Humperdinck’s Hansel and Gretel , which opened this week at the Royal Opera House. The multi-award winner is designing and directing this revival of Humperdinck’s fairytale opera, a dual role he has performed repeatedly to huge acclaim. 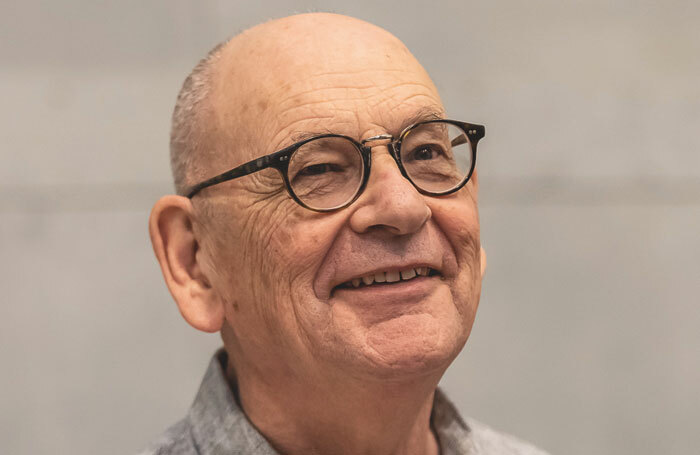 After that he moved on to Manchester School of Theatre, where he studied stage management and acting – though he did direct one play – and where his fellow-students included Peter Flannery, Julie Walters and Tim Albery; the latter would become a regular collaborator. He spent two years in Cardiff where he befriended Bjornson and David Fielding and decided that maybe he’d like to design himself. “Someone mentioned the Motley course run by Percy Harris, and I went for an interview and was taken on,” he says. But it was through Albery that he obtained his first work as a designer and made contacts with other directors. “I got a job designing for a company called Avon Touring, which was based in Bristol. Tim and I did a production together of Women Beware Women, and later when he did his first opera at the Musica Nel Chiostro festival at Batignano in Tuscany [The Turn of the Screw, 1983] I designed that too.” Early on, he also designed dance for Second Stride with Sue Davis, Richard Alston and Ian Spink, as well as experimental work at the ICA. Designing opera first came through Cardiff contacts. Benjamin Britten’s Let’s Make An Opera was his first piece for the WNO in 1978, and then on a grander scale he designed Christopher Fettes’ production of Handel’s Orlando for Scottish Opera in 1985. Since then, McDonald has been constantly in demand throughout the UK, and indeed the rest of Europe, for assignments either as a director and designer, or simply as a designer working with other directors including Albery and Richard Jones, with both of whom he has maintained long-term artistic partnerships. “I’ve had similar relationships with choreographers Ashley Page and Sue Davies and playwright Caryl Churchill ,” he says. 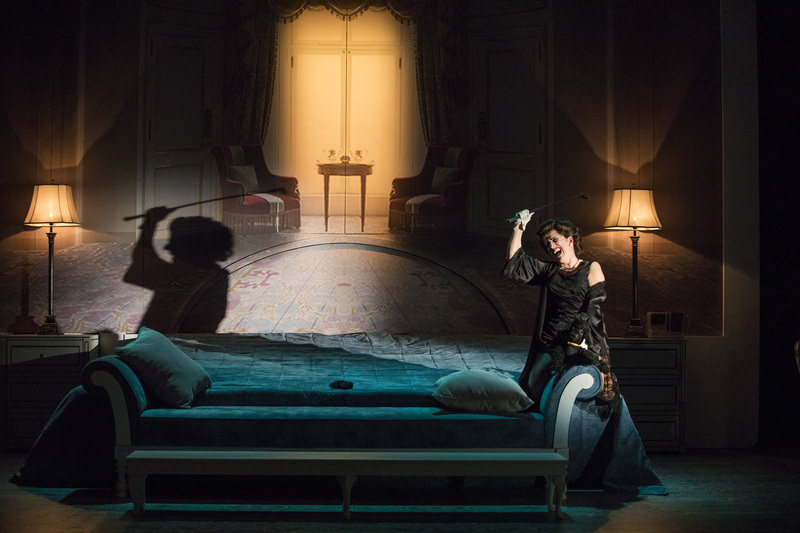 Two acclaimed contemporary works he has staged were Gerald Barry’s The Importance of Being Earnest in 2013, and Thomas Ades’ Powder Her Face four years later; currently there are plans for him to direct a new opera by Barry. Assistant Director at the Community and Schools Company connected to the Welsh National Opera and Drama Company. Designing Katya Kabanova for Richard Jones at the Royal Opera House. Be truly yourself – no one else sees things quite like you do! Pina Bausch, Ken Russell, the Glasgow Citizens Theatre, Diaghilev, Anton Chekhov, Visconti. They are always using things that come out of auditions – however gruelling. There are always useful things that come out of auditions – however gruelling they may be. If you hadn’t been a designer/director, what would you have been? But arguably his most famous single creation, he suspects, is the enormous set he created for the open-air lakeside theatre in the Austrian town of Bregenz, where audiences of 7,000 a night gather to experience a spectacular live opera for one month each summer; the shows are then repeated for a second year. The extraordinary image of McDonald’s set for Verdi’s A Masked Ball at the turn of the century – consisting of a huge skeleton holding an open book – made numerous front pages, while he and Jones were immediately invited back for La Boheme. In commissioning Hansel from McDonald, the Royal Opera’s artistic director Oliver Mears also asked for something that the family could come to at Christmas – which fortunately chimed in with the director’s own broad intentions. How does he begin to work on an opera? “The visual ideas come from reading and listening – I listen a lot.” For Hansel and Gretel McDonald has taken a broadly similar approach to his magical, yet intelligently explorative version of Dvorak’s Rusalka – a hit for Grange Park Opera a decade ago, and subsequently taken over by Scottish Opera in 2016. Later on in the season he returns as the designer for Richard Jones’ new production of Janacek’s Katya Kabanova, which opens at the Opera House in February: it turns out that he and Jones have been assembling their own private Janacek cycle over the last few years, thus far either in Holland or Germany: you’re just as likely to see McDonald’s work at La Scala, the Vienna State Opera or the Bolshoi.